The Clive Cussler empire expands with another title in the Sam and Remi Fargo series. Co-written with Thomas Perry, "The Mayan Secrets" is also the best of the series so far. The Fargo husband-and-wife treasure-hunting duo have had success in finding lost treasures. They have plenty of money and don't have to worry about day jobs or spending a month at a time away from home. So when an earthquake hits a section of Mexico, they feel compelled to supply humanitarian aid. While giving their assistance, they stumble on an ancient Mayan artifact. This sealed pot clutched in the hands of a skeleton clearly has significance, and to make sure it's not damaged or lost in the cleanup, Sam and Remi have it shipped to their home in San Diego with the assurance they will give it back to the Mexican government. When they open the pot, they discover a book that contains information about the Mayan culture. Word spreads of their find, and soon a woman arrives on their doorstep demanding the book. The Fargo series has been the forgotten child of the various series that Cussler writes with several co-authors. This time, the story and characters gel into an adventure that feels like Cussler's Dirk Pitt adventures. 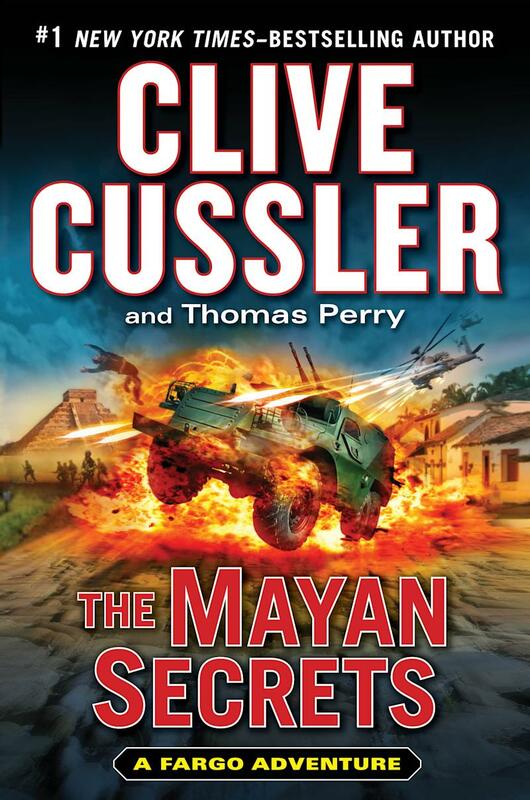 Perry has written many terrific novels, and it's understandable why Cussler would want to write with him. Their first collaboration was spotty at best, but this time they've found their groove, and the end result is a blast.